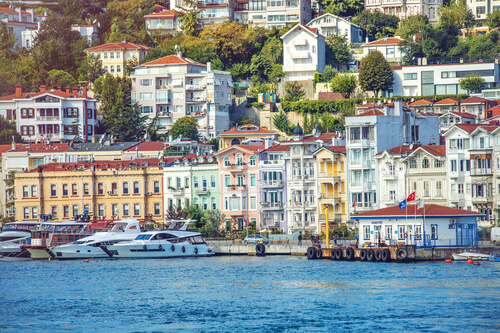 No visit to Istanbul would be complete without a cruise down the infamous Bosphorus. The s-shaped strait of water not only links the two continents of Europe and Asia but is an ancient waterway of great historical, cultural and geopolitical significance. Said to have formed from the flooding of a caved-in valley in 5600 BC, its deepest point measures 100-120 metres deep with the widest section measuring 3,500 metres wide. Aside from the three bridges (Bosphorus, Faith Sultan Mehmet and Yayuz Sultan Selim) that mark the 30 km-long strait, it’s home to four palaces (Ciragan, Beylerbeyi, Dolmabahce and Kucuksu Kasri) two fortresses (Rumeli anf Andaolu) and over 50 yalis (elaborate Ottoman-era mansions), among many other attractions. Depending on your time and budget, the quickest and easiest way is to catch a short-circle cruise (two hours) from Eminonu to Istinye past the Faith Sultan Mehmet bridge and back. The long cruise (four to six hours) starts from Eminonu to the Black Sea and back allowing for stops to get on/off and the opportunity to grab a late lunch at one of the fish restaurants of Anadolu Kavagi, a neighbourhood in the Beykiz district. This impressive mosque is clearly visible from the water. 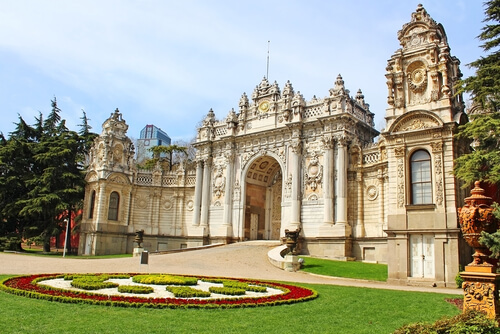 Commissioned by Bezmialem Valide Sultan in 1852, it was designed by the famous Armenian Balyan brothers and includes a baroque clocktower and two minarets that resemble marble columns. What makes its architecture unique is the circular window design which was first used during the Ottoman architectural period. Built in the 19th century as a modern option to the Topkapi Palace, this glamorous palace with its white marble facade of over 280 meters overlooking the seafront served as a befitting royal abode for six Sultans from 1856 till the abolition of the Caliphate in 1924. Originally built for Sultan Abdul Aziz in 1874, it was used as the Turkish Parliament in 1908 before it was burnt down. Today, it has been restored as the grandiose Ciragan Palace Kempinski luxury hotel. Built by the Balyan brothers in 1854, this distinctive mosque with its two-storey structure and u-shape plan boasts a neo-baroque architectural style that is particularly beautiful at sunset. Built in the 1973, this is the world’s fourth largest suspension bridge and runs 1,074m long between Ortakoy and Beylerbeyi. It’s a popular spot for wedding proposals, and at night, it’s lit up in a hue of rainbow colours. This quaint Albanian village is also home to a number of elegant yalis (mansions made of finely worked wood from the Ottoman era) used in the past as summer residences for the city’s rich. Situated at the narrowest point of the Bosporus strait, this Ottoman fortress, built between 1393 and 1394, is also known as “Bogaz-kesen” or cutthroat. It has served as a prison and been featured in many movies. However, its location is made most famous by Sultan Mehmet who launched his conquest of Istanbul in 1453 from there, simultaneously defeating Constantinople and establishing the Ottoman empire.